David is a Certified Personal Trainer and Group Fitness Instructor with ECITS, an ACE Certified Personal Trainer. He has 20 years of training experience, has worked in the physical therapy field in therapy exercise and specializes in post-rehab training. He has worked with North Shore University Hospital's Eating Disorder program as a Martial Arts Instructor and Trainer. He is a Flexibility Technician from MPI in Active Isolated Stretching, holds 2 Black Belts, a teaching certification in the martial arts, and has developed and implemented programs for 3-5 year olds, adolescents, adults and ADD/ADHD children in both martial arts and fitness. He holds a Powerstrike Impact Kickboxing Certification and was certified through Town Sports Internationals foundations ( NY Sports Clubs). David holds a Speed and Power Certification from Strength Pro and has taught portions of the curriculum. He trained the 1991 Bally's Best of the Best Light Weight Bodybuilding Champion, Gerald Poindexter, the 1999 Eastern Atlantic States Fitness Overall Winner, Melissa Shalkowitz, Regina Cardone the 2002 Natural NY States 2nd place fitness competitor, the 2006 NBI New York Fitness and Figure overall winner and she was The 2006 NPC Garden State Figure overall winner. 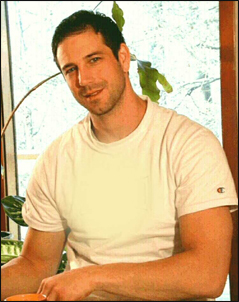 David is a NY State Licensed Vocational Teacher and has developed curriculum and programs for the East Coast Instructor Training School (ECITS) and Kettlebell Concepts. He has taught at educational conferences both nationally and internationally. The Energy Project December of 2007, with Tony Schwartz, the co-author of Lighting The Fire Within, and The Power of Full Engagement.